We refer to TBES as a system because it requires, at a minimum, two freely-downloadable components: a Mac Store App (Apple, Cupertino, California) and a server program that communicates with the TBES APP. The TBES App can be downloaded from the Mac Store free-of-charge. The server program can be downloaded below. More information can be found below. The server program is written in Visual Basic 6.0 (Microsoft, Redmond, WA). The server contains the code for different experimental procedures and sends commands to the TBES App to display the appropriate stimuli and record responses. 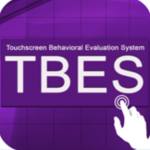 TBES is designed to serve as a visual interface for commonly used cognitive and behavioral tasks. It is the hope that this system will facilitate research and broaden our understanding of the processes that underlie visual learning and memory. TBES2 is available on the App Store. See below for details regarding the important updates. To DOWNLOAD the plug and play version, click on the “TBES INSTALL FOLDER” link below and save to your computer. This folder is compressed and will need to be unzipped. Once unzipped, open the folder and read the “Installation and Program Details” file for more instructions. Q: What’s new for TBES 2.0? 1) We added the ability to upload your own images to the “c:\TBESVB6Acc\Images\In Use” folder. 2) We also added a treasure chest that will be displayed at the location of a correct choice. This is ideal for demonstrating procedures with human participants. 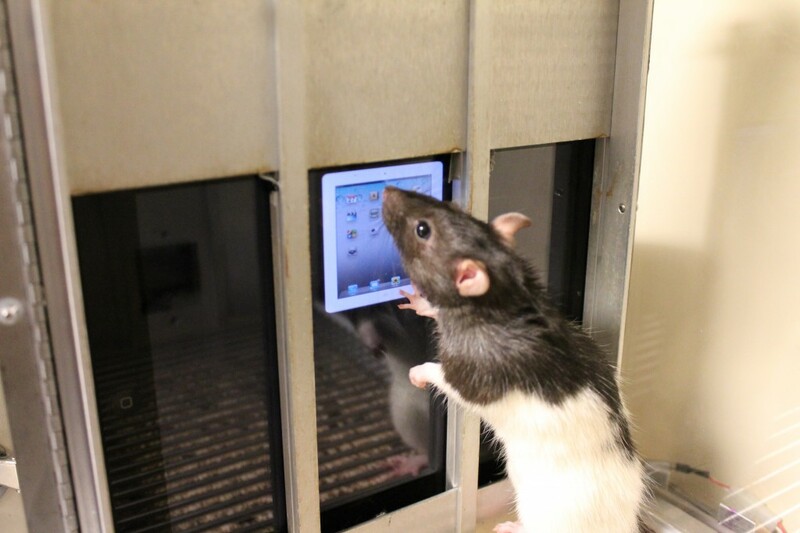 Just give them the iPad and let them go. 3) We also added the ability to resize the grid. You can set the column and row sizes in the “c:\TBESVB6Acc\Parameters” folder. Change the “Number of Rows” and “Number of Columns” values by creating a new file or modifying an existing subject’s file (e.g., “Testoffice”). You can view your grid on the program during start up by clicking “Show grid”. We also added the ability to define a goal location for each procedure. During the Autoshaping and Successive Discrimination procedures, the stimulus will be displayed at the goal. For the Simultaneous Discrimination procedure, one stimulus will be display at the goal and the other to the right or left of the goal (determined randomly across trials). You can also enter a “0” in the parameters folder to have the program choose the goal location randomly (limited by the array size and other factors). The program will use the number of Trial Types you specify in the parameters file to divide up the stimuli in the images folder (be sure to only keep stimuli you are using for that procedure in the images folder and see specific procedures below for S+/S- assignment). 4) We also added a keep alive signal to catch a broken connection between the iPad and server. 5) You can now build your own session by creating the subject file (using the format subject.sessionnumber [e.g., Bob.1] in “c:\TBESVB6Acc\Results” and then select “Load” from the server program start up. Kenneth Leising received a B.A. in Psychology from Texas Christian University (TCU) in 2003 and his Ph.D. in Psychology from the University California Los Angeles (UCLA) in 2008. He then spent one year as a Postdoctoral fellow at the University of Texas Health Science Center in Houston before accepting the position of Assistant Professor of Psychology at TCU in 2009. Dr. Leising currently serves as the American Psychological Association (APA) Division 6 Representative for CARE (Committee on Animal Research and Ethics). Dr. Kenneth Leising | Scholarship Theme by Mystery Themes.